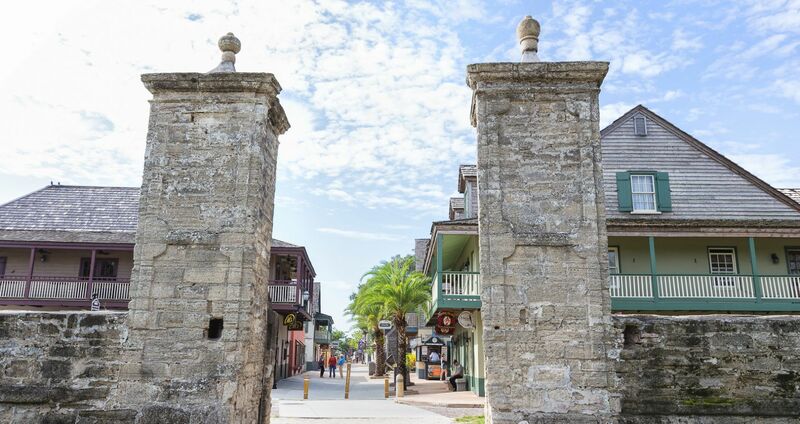 Discover what so many before you have experienced, and let the St. George Inn be your gateway to one of the oldest cities in the United States. 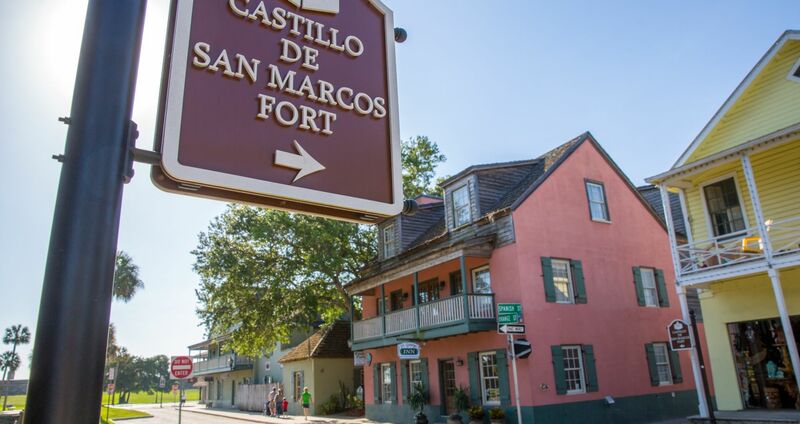 Located on the picturesque, pedestrian-only St. George Street, the Inn encompasses both the east and west side, with two magnificent courtyards overlooking the imposing Castillo de San Marcos and City Gate. Our accommodations range from intimate rooms to elegant suites; all rooms and suites have captivating views of the city's many landmarks, many with their own private balconies, as well as thoughtful features to add luxury to your stay. 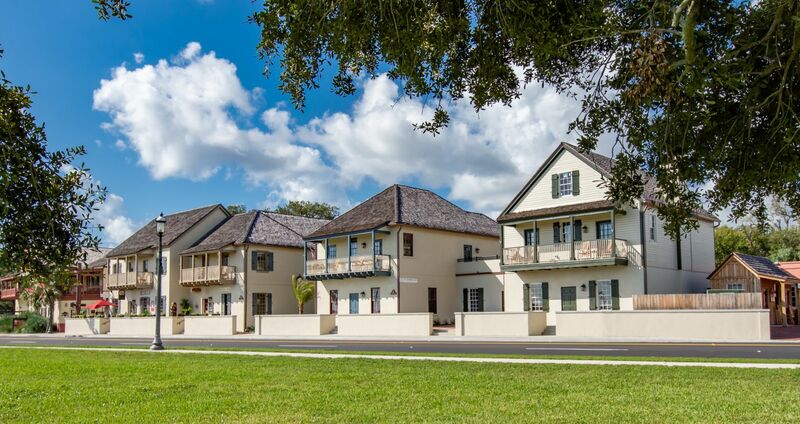 The St. George Inn has proudly blended timeless surroundings with legendary hospitality for nearly two decades, and we look forward to welcoming you to St. Augustine to celebrate this tradition. While our location means that all of the city's most famous attractions—the Castillo, the Fountain of Youth, Flagler College, and the Lightner Museum, among dozens more—are within walking distance, the Inn also includes a private retail plaza, so that your time with us can include shopping for essentials and special mementos alike. Stay a while, cross all the items off your St. Augustine to-do list, and soak in the beauty of the Old City's best hotel. Our fabulous new rooms have one of the best views in the city with balcony facing either Castillo de San Marcos or the Castillo Courtyard, each of the eight Castillo King rooms at the St. George includes incredible sights and the chance to recline on your rocking chair with a glass of wine or bite to eat. In addition to these charming features, the elegant decor choices - fine linens, antique ceiling fans, and plush pillow-top mattresses included - call on elements of classic resort style, creating a sense of escape into indulgence. Our fabulous new room type Castillo Double have two queen beds with a balcony view of Castillo de San Marcos, Mantanza Inlet and the Bridge of Lions. Our fabulous new rooms have one of the best views in the city with a balcony facing the Castillo de San Marcos. 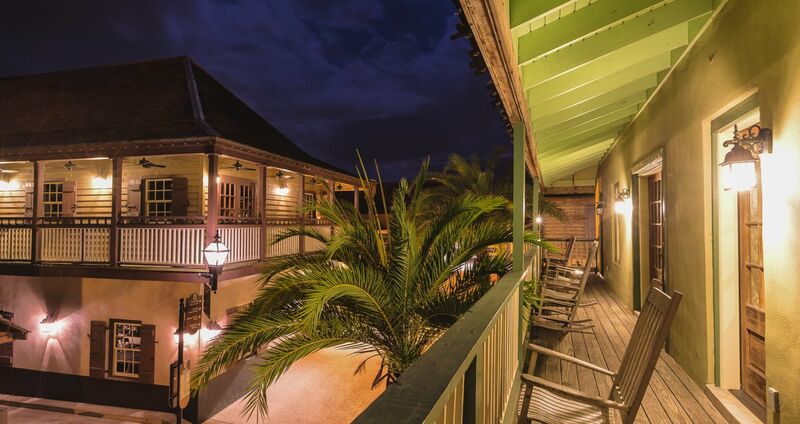 Each of the two Castillo Double rooms at the St. George includes incredible sights and the chance to recline on a rocking chair with a glass of wine or bite to eat. In addition to these charming features, the elegant decor choices - fine linens, antique ceiling fans, and plush pillow-top mattresses included - call on elements of classic resort style, creating a sense of escape into indulgence. 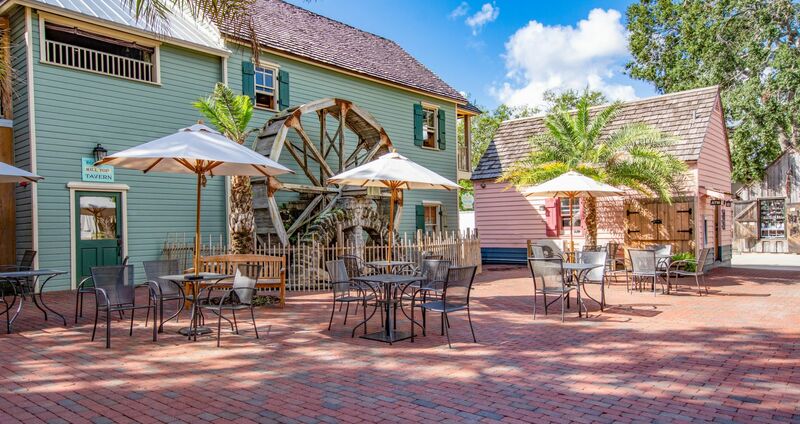 The Pinta Rooms at the St. George Inn overlook classic St. Augustine landmarks. Overlooking either the Old City Gates and Huguenot Cemetery, or the Oldest Wooden Schoolhouse, the Pinta rooms at our Old Town hotel are distinguished by local design influences, as well as the classic European flavor evident throughout the rest of the property. Three of our Pinta rooms have elevator access; inquire with our front desk staff to choose an accessible room. The Santa Maria Room features balcony views of the Old City and St. George amenities. Affording guests balcony views of either St. George Street or the Old City Gate, each of the seven Santa Maria rooms at the St. George includes incredible sights and the chance to recline with a glass of wine or bite to eat. In addition to these charming features, the elegant decor choices - fine linens, antique brass ceiling fans, and plush pillow-top mattresses included - call on elements of classic Southern style, creating a sense of escape into indulgence. The Nina Rooms at the St. George Inn overlook either the courtyard of the inn or the Castillo de San Marco. 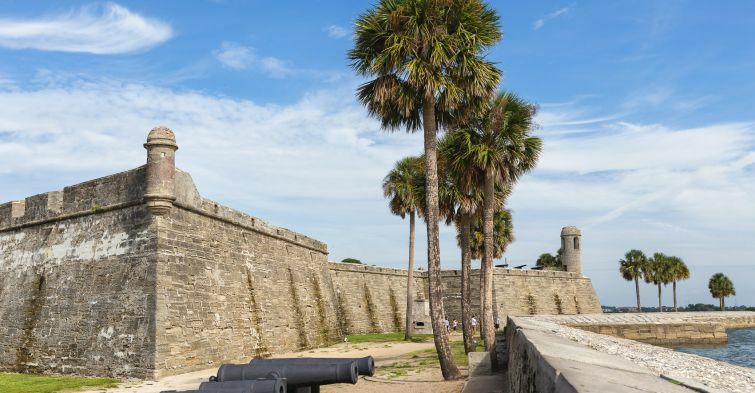 A third story choice for guests seeking views of one of the city's most imposing monuments, the Nina Rooms overlook either the hotel's courtyard or the Castillo de San Marco. All four Nina rooms feature plush pillow-top mattresses, with either two full beds or two queen-size beds. Choose the one that suits your travel needs best, and sink into comfort. The Santiago Rooms at the St. George Inn feature king size beds and views of the cemetery or courtyard. A more luxurious experience for guests seeking a bit of extra space, the three Santiago rooms at our St. Augustine, FL hotel boast not only exquisite views of the Huguenot Cemetery or the courtyard, but plush pillow-top king mattresses. Settle in for a soothing night's sleep or let your balcony views draw you out to adventures in the city; these rooms are a truly inspiring choice. Representing more than 60 local, regional, and national artists in a variety of mediums featuring steel and copper sculpture; hand blown glass art, acrylic, oil and watercolor canvas; mosaics, handcrafted crystal, seaglass, glass, and silver jewelry. Also known as The Oldest House, the Gonzalez-Alvarez is a U.S. National Historic Landmark. The Memorial Presbyterian Church is a historic church located at 36 Valencia Street in St. Augustine, Florida, United States. The Cathedral Basilica of St. Augustine is a historic cathedral in St. Augustine, Florida, and the seat of the Catholic Bishop of St. Augustine. Historic cedar-and-cypress building offering a glimpse of school life in Spanish Colonial times. 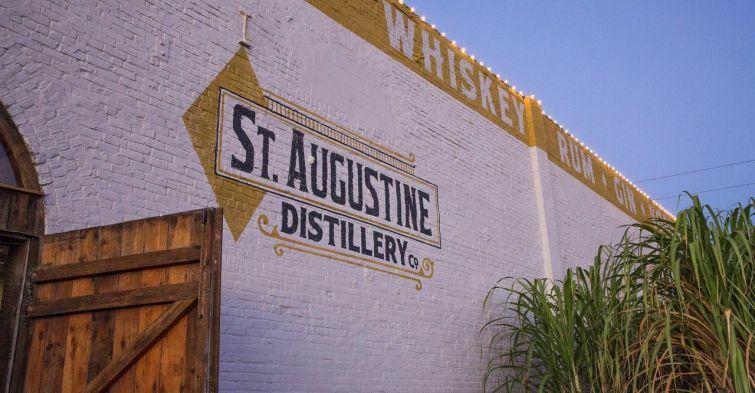 Taste the flavors of St. Augustine at this local Distillery. 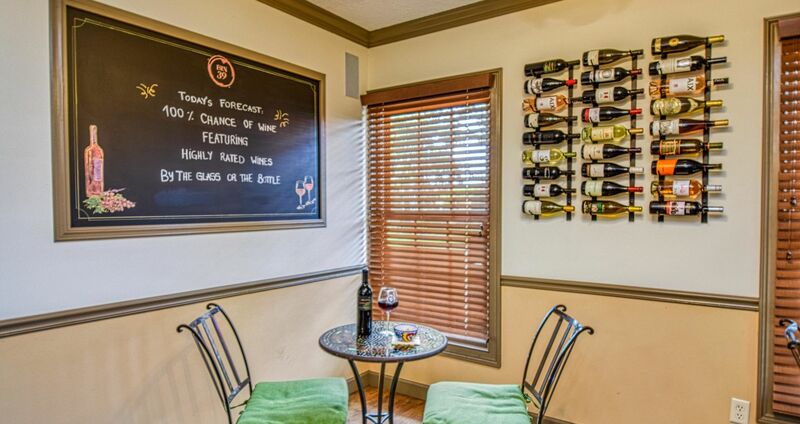 An ideal place to sample local wines, listen to live music at the wine bar, and enjoy complimentary winery tours. A menu focused on fresh local seafood, steaks, lamb and veal with an international twist. Specializing in Mediterranean and Latin Fine Cuisine specialties. A seasonal menu inspired by Spanish and Puerto Rican cuisine.